I’ve been asked several times for some tips on how to make a menu, shopping list, and pull it all together with coupons. Here are two methods I have used. Remember, you may need to vary it a little to fit your family’s needs. Plan out your menu. I do a menu for breakfast, lunch and dinner, and it’s for two weeks. Clip your weekly coupons. I usually separate them and put them in my designated pockets in my coupon binder. Make the list. 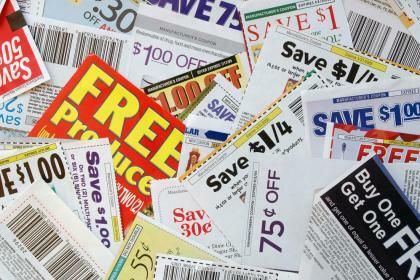 After all coupons are pulled, write them on your list with a “C” next to then. This helps to remind you that you have a coupon for that item once you’re at the store. Now write down the other items that are needed for your menu. Put the list, and coupons together for an easy shopping trip. Plan your menu around your coupons. What dishes can you make with the coupons you have? Start building your menu around this. Have your piece of paper ready to write down the menu. Lets say you have a coupon for tuna, two for pasta, one for chicken….You can use two of those coupons to make tuna casserole. Then you coupon use another to make spaghetti. Another for grilled chicken. That’s three meals based on 4 coupons. Once you have filled in many of the menu blanks, you’re bound to have a few meals that don’t have coupons. Fill those in with meals that are within your budget. Plan for EVERY meal. Include snacks. This will help you cut down on those in between shopping trips.